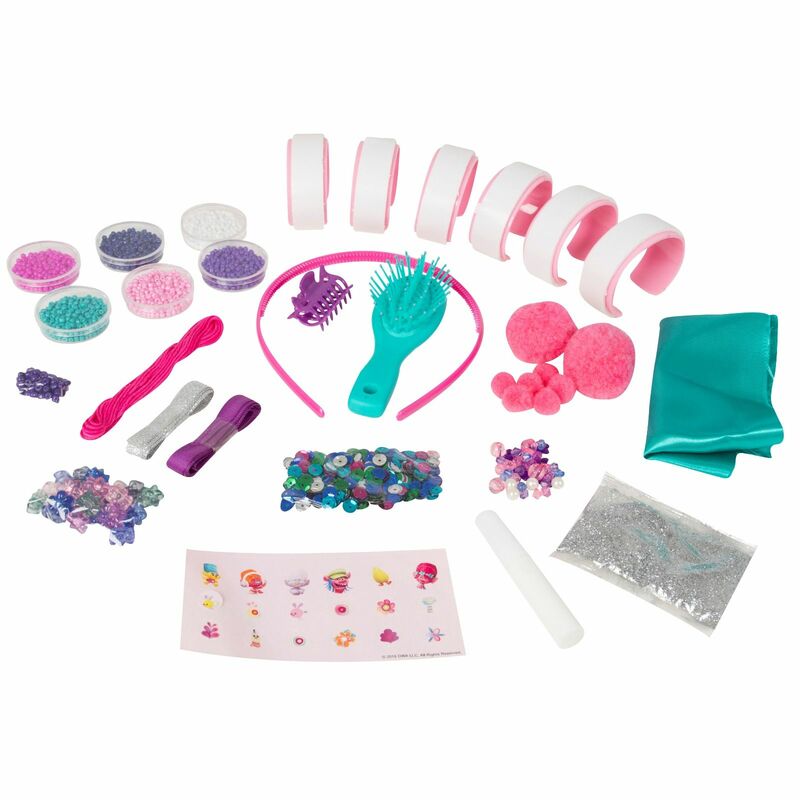 If your little one loves Trolls they will adore this charming Hair and Fashion Maker. 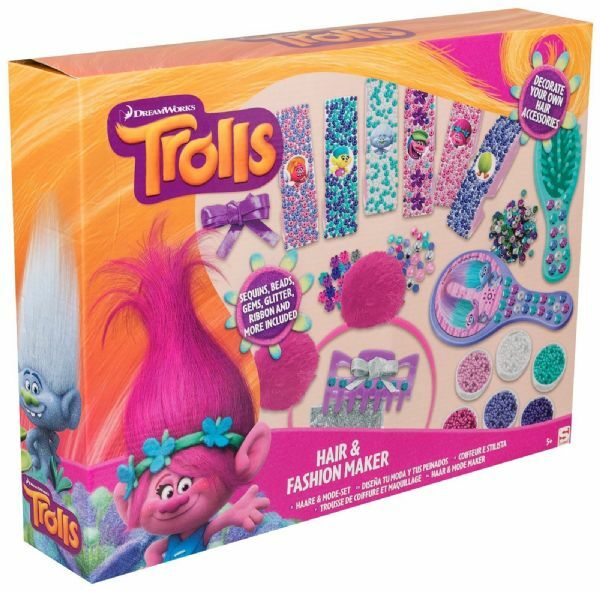 Do their hair, make some bracelets. 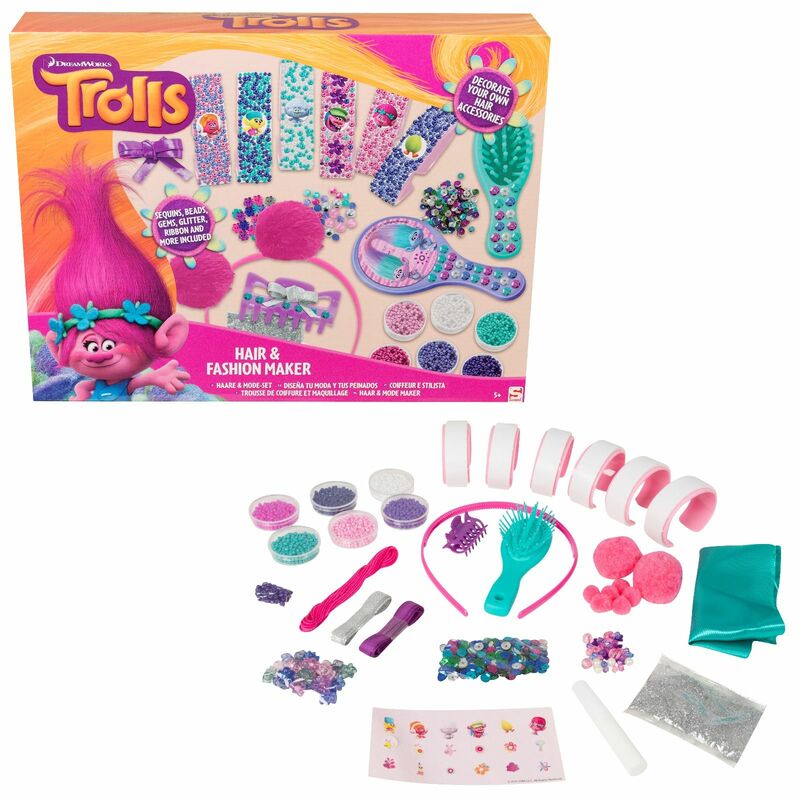 Hours of endless creativity and fun for little Troll fans. It features Trolls characters from their favourite TV show.